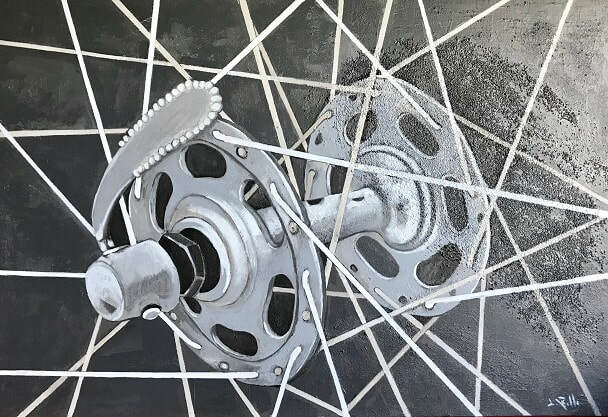 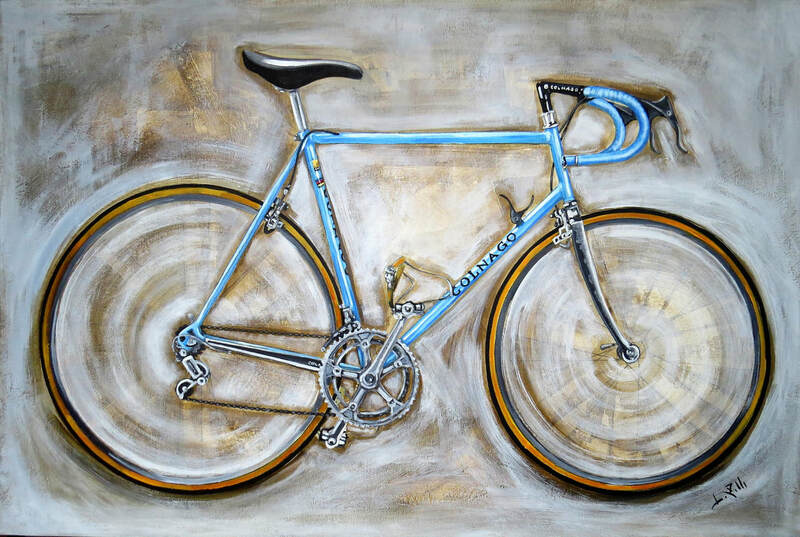 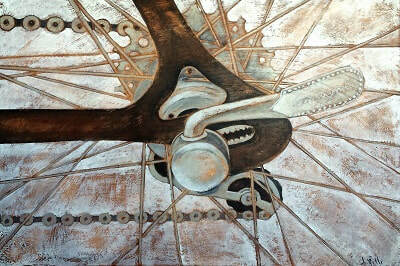 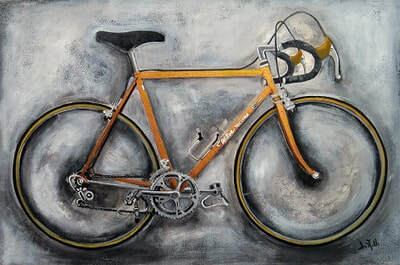 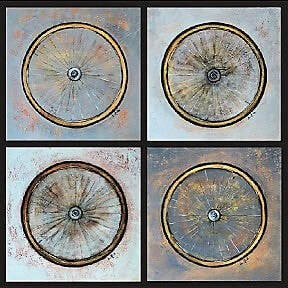 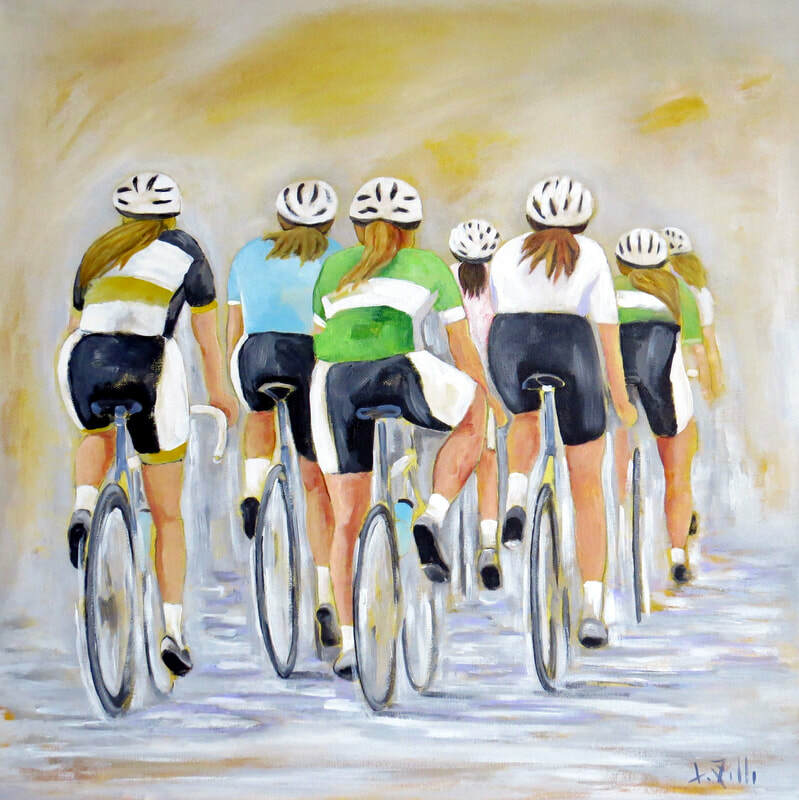 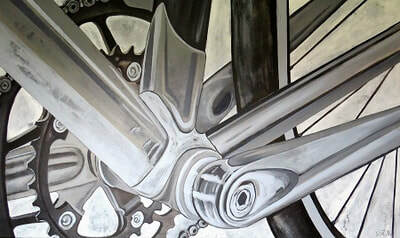 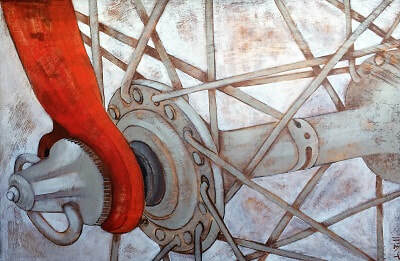 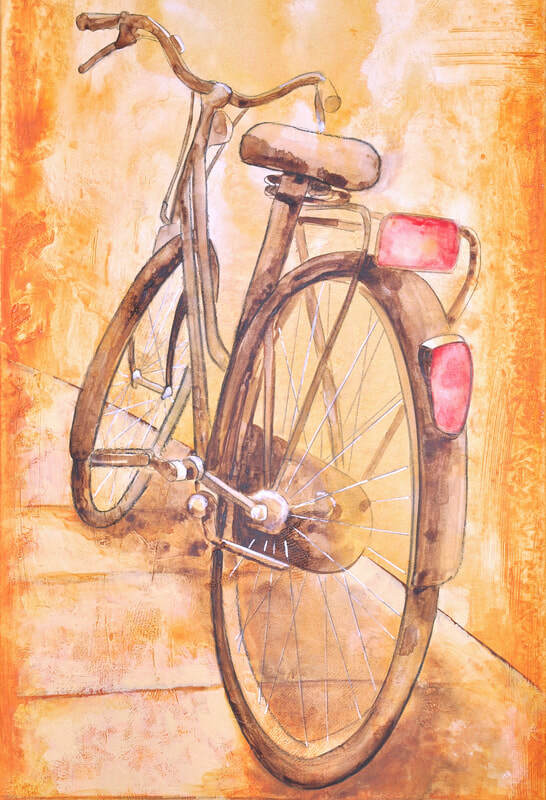 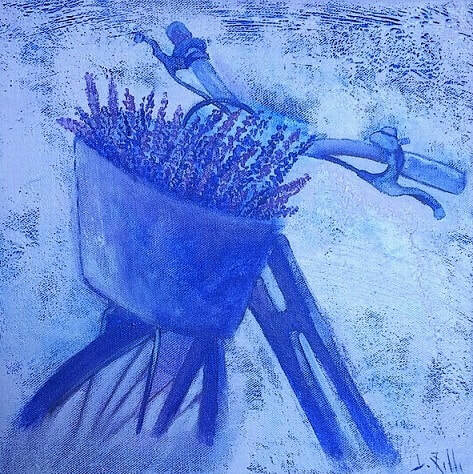 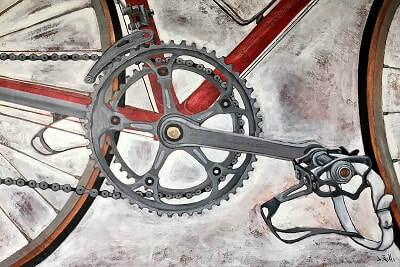 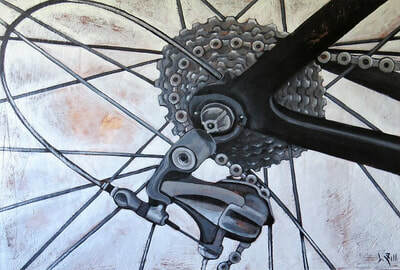 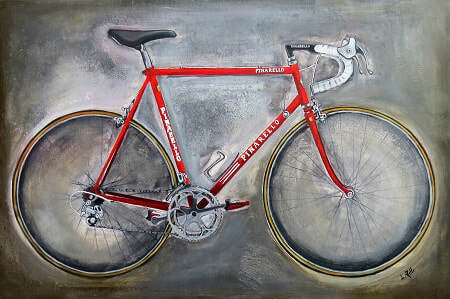 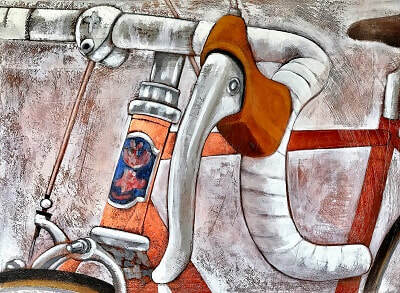 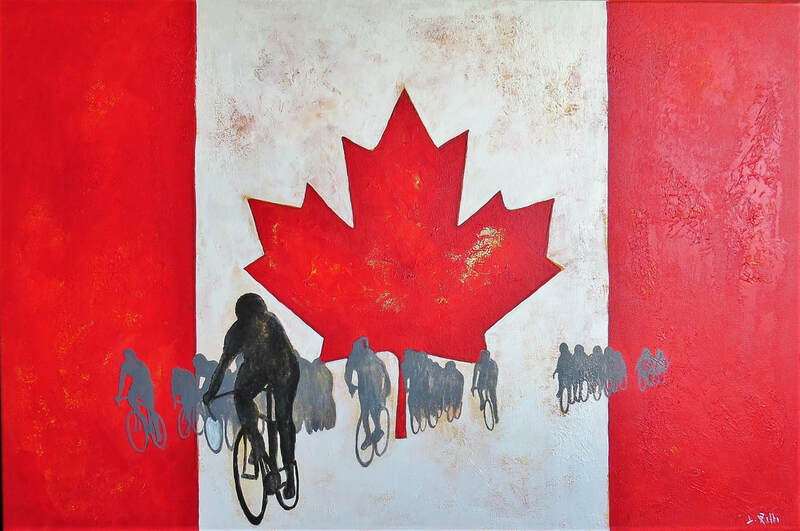 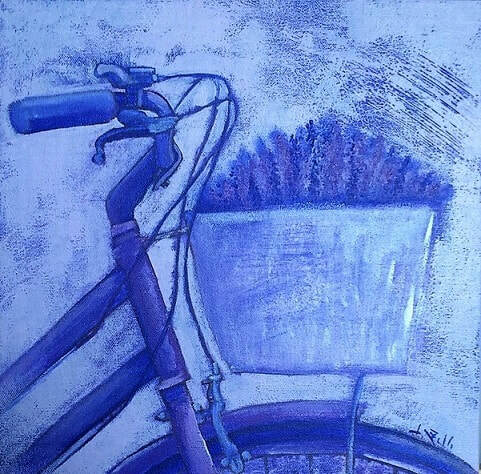 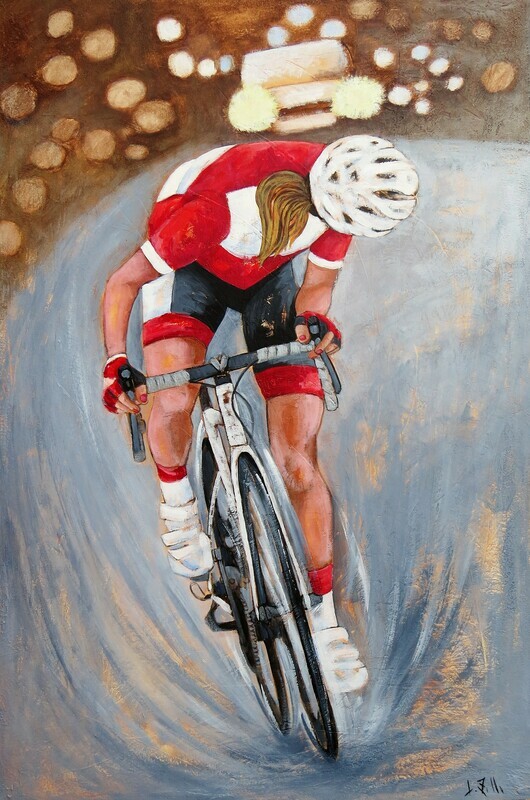 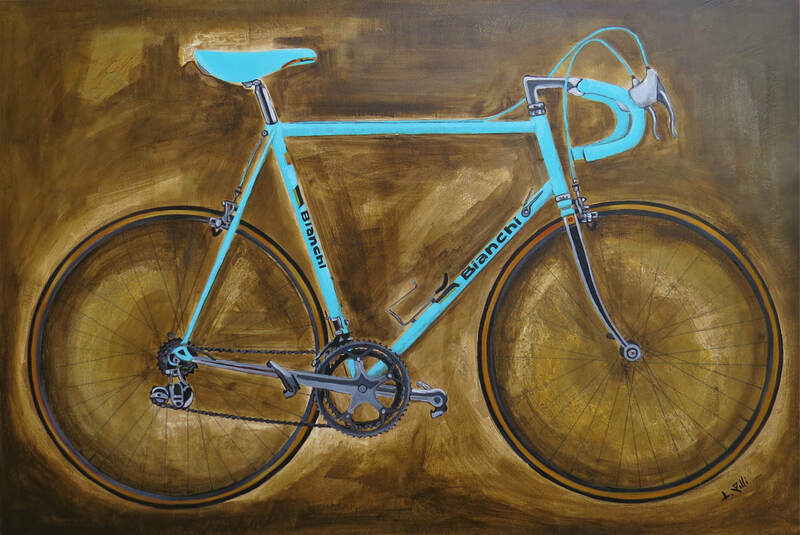 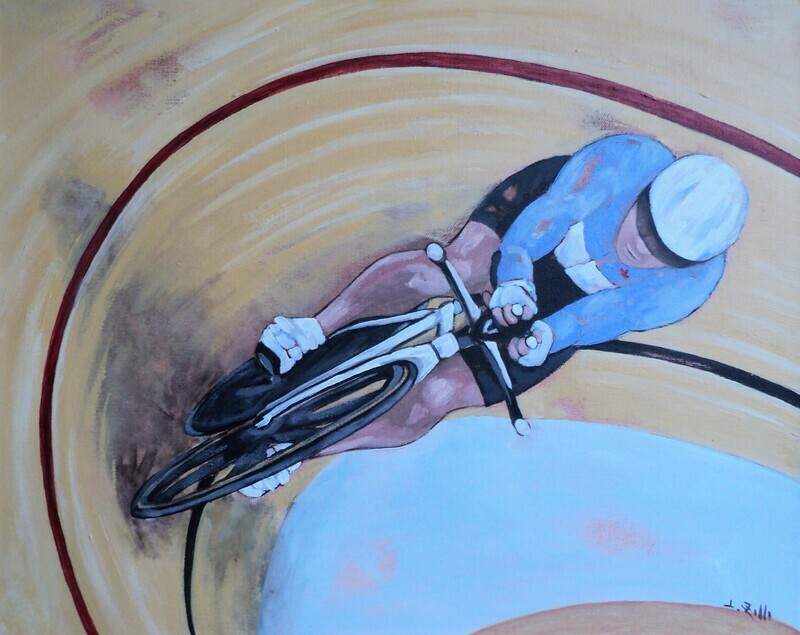 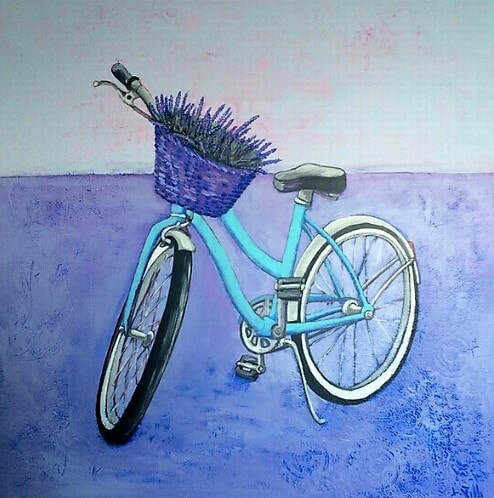 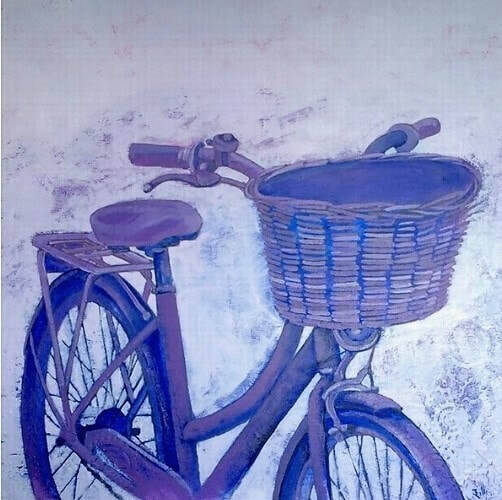 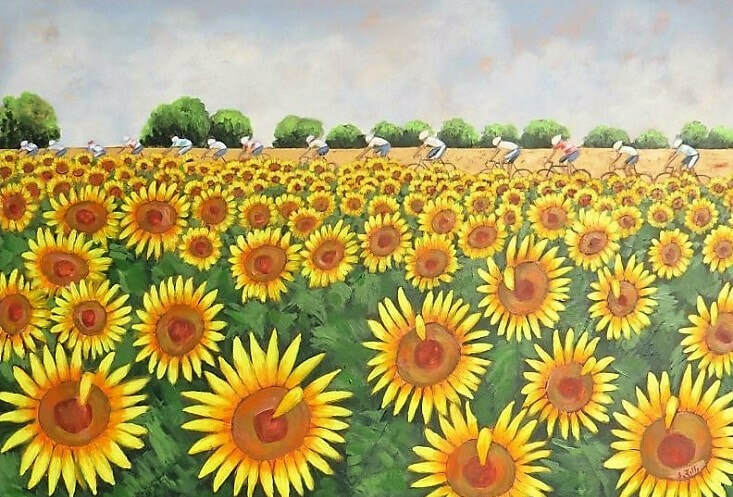 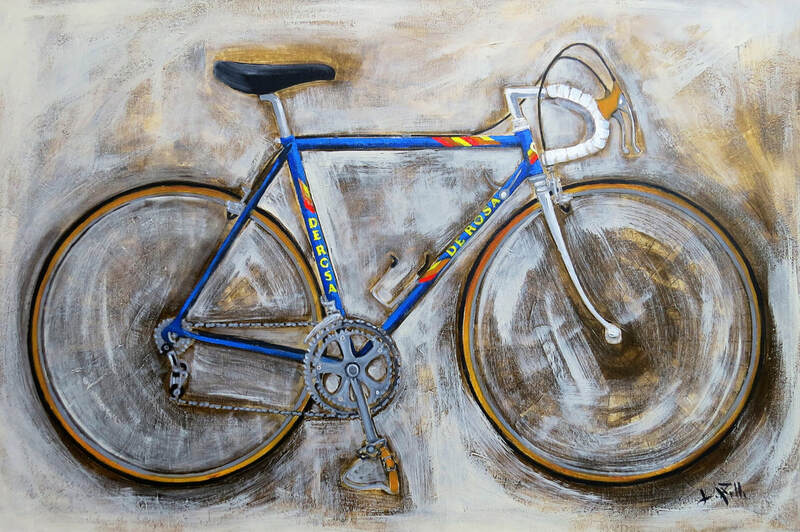 I paint bicycles because they are my passion since childhood, as I started to ride one at four years old. 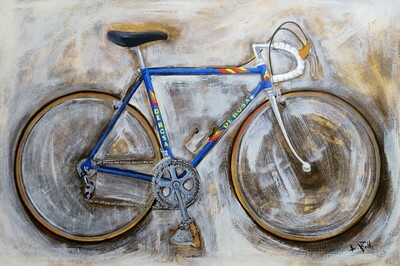 Growing up in a family of cyclists and in a place where cycling is a popular sport, made me very passionate about it. 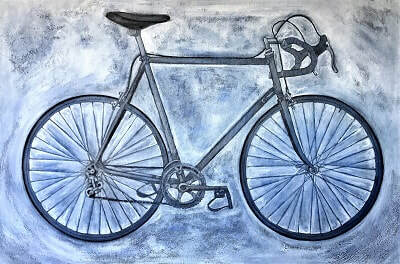 I’m very inspired by any kind of bicycle: I grew up in a small town in Italy where it was the most popular utilitarian way to move around for people of any age. 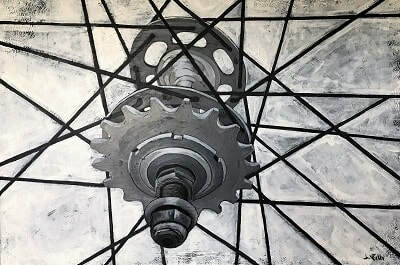 I paint it, the whole machine or just close ups of parts, because I find it very attractive, it has its own elegance and dynamism, it’s a great invention and I also consider it a symbol and a precious tool for living our future in a clean and healthy environment. 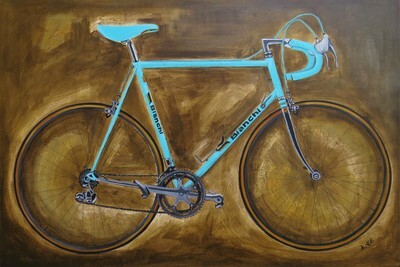 Those available on the website are $100 only!